After wanting to see this place for years, I finally managed to secure a private tour of NASA’s Jet Propulsion Laboratory (JPL) through an engineer friend of mine who works there. I’ll let him remain anonymous, just in case anything I say in this blog could potentially embarrass or get him into trouble. I’ve long been fascinated with space and U.S. expeditions to both the Moon and Mars, and have written blogs on the strange anomalies of both places. After hearing some of my theories, my friend swears that if there is a secret space program, as many believe, his clearance doesn’t allow him access to it. Damn. But, that didn’t stop me from asking lots of probing questions. JPL is a very cool place. Some of the most interesting science nerds in the country work here. In fact, as I pulled up to the security gate, ahead of me was a long line of pristine vintage cars also entering. I jokingly asked the guard on duty, “Is it take your classic car to work day?” In fact, it was. I passed about 30 of these beauties all lined up on display in front of the main visitor building. The men of JPL were already emerging from buildings to check out the shiny chrome eye candy while others huddled over spotless engines exchanging serious car talk. I was told it was the best possible day to be there. Okay. JPL is a huge, sprawling college-like campus on a rocky flood plain just outside the city limits of Pasadena, California (although technically it’s located in La Cañada Flintridge). It encompasses 177 acres of U.S. federally owned land, managed by the nearby California Institute of Technology (Caltech) for NASA. 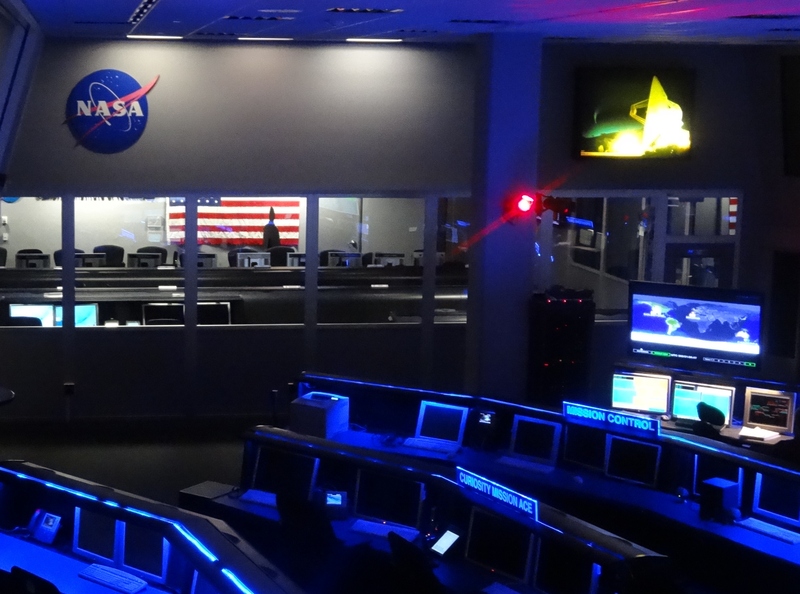 The laboratory’s primary function is the construction and operation of planetary robotic spacecraft. While it conducts Earth-orbit and astronomy missions, it is especially responsible for operating NASA’s Deep Space Network. 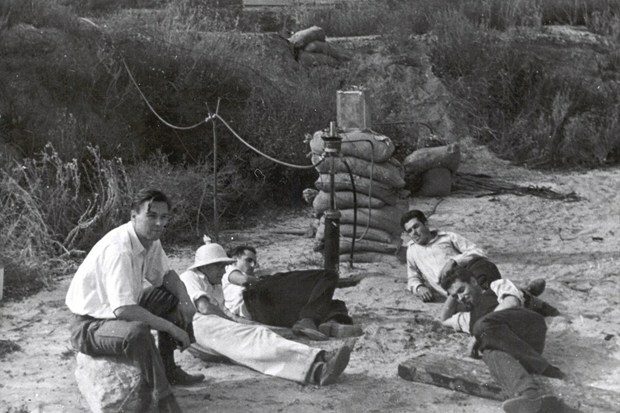 To give a very brief history… JPL beginnings trace back to 1936 when a group of ambitious Caltech graduate students, Frank Malina, Jack Parsons and Edward S. Forman, decided to experiment with building their own alcohol-fueled rocket motor. In 1941 their little “rocket project” gained the financial support of the U.S. Army. In 1943, this Army facility became known as the Jet Propulsion Laboratory. It’s mission: To build deployed weapons systems and intermediate range ballistic missiles. 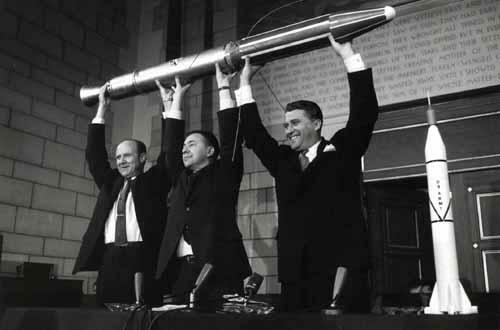 A mock-up of Explorer 1. One of JPL’s founders, Jack Parsons, would come to be known as the “father of rocketry.” Unfortunately, much of his controversial personal life, mired in occultism, group sexual orgies, black magic, and a close friendship with L. Ron Hubbard, before he created Scientology, would eventually obscure his scientific accomplishments. In 1954, JPL teamed up with Wernher von Braun and embarked on a classified project that would launch the United States’ first spy satellite, Explorer 1, on February 1, 1958. This led to JPL being transferred to NASA later that year, forever becoming the agency’s primary planetary spacecraft center. With over 5,000 employees, it is clearly its own little spaced out world. Passing by the back lot, where rover vehicles are tested for terrain adaptability, one can’t help but notice the strange markings on all the vehicles’ wheels. It turns out to be code. 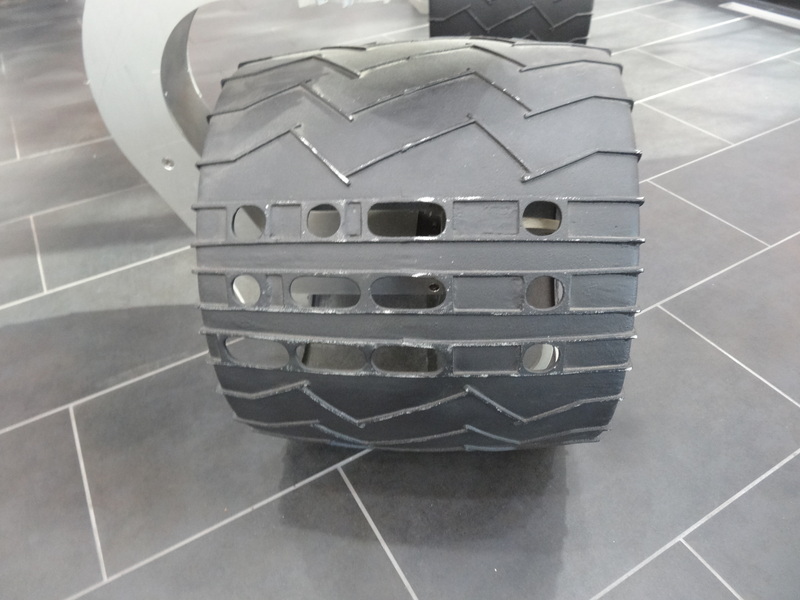 NASA told JPL not to put any identifying insignia on their terrain vehicles, so JPL designers found a covert way to put their mark on these interplanetary creations. The three lines of cutout dots and dashes spell out “JPL” in Morse Code. 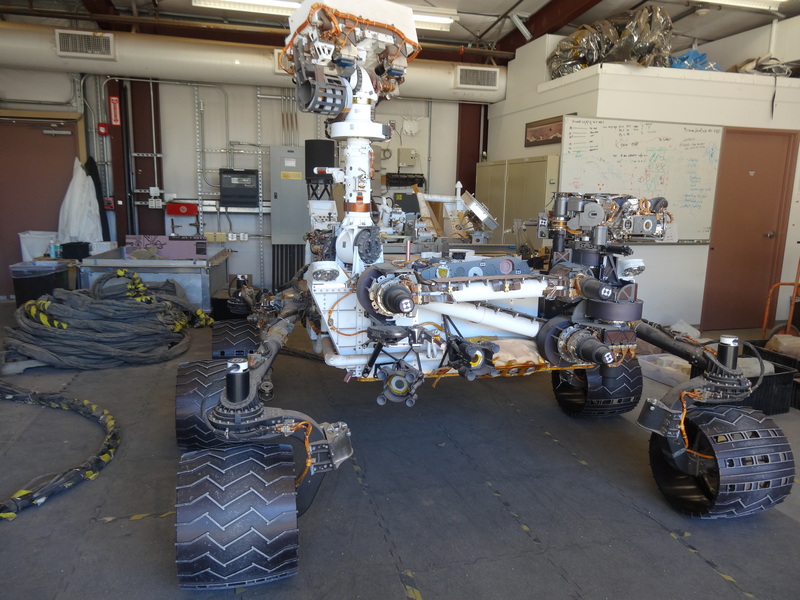 Next to the back lot was the Mars Curiosity Rover “testbed.” It’s used to simulate commands and test protocols before sending the actual commands to the real Curiosity Rover on Mars. 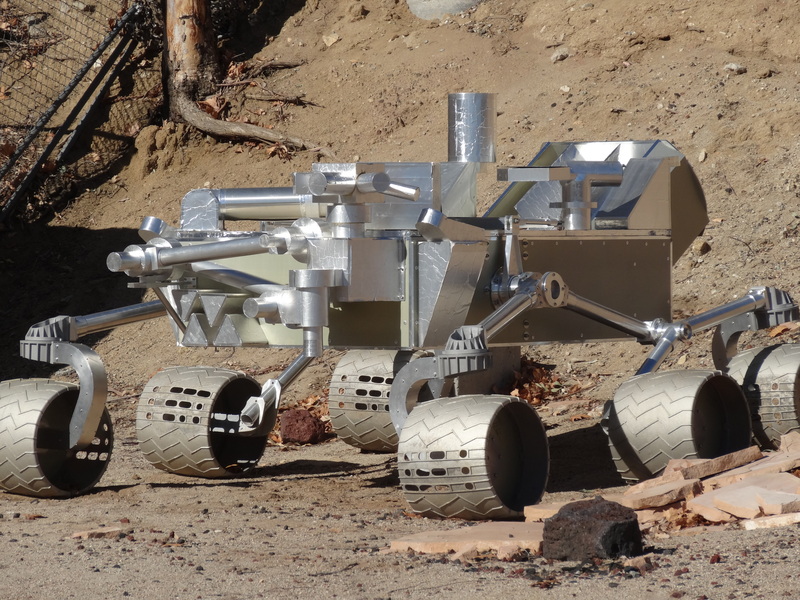 The Rover moves at the painstakingly slow speed of 4.2 cms per second—which means 8.26 feet per minute, 165.2 yards per hour, and over 10 hours to cover just one mile. At that rate it would take forever to map a wide range of the Mars surface. Get the picture? There’s a lot out there we will never see. I had to ask another question everyone is always asking, about the Curiosity Rover. Why are the optics on these vehicles taking such low resolution pictures when we clearly have NSA spy satellites in space that can zero in on someone’s face down on Earth and show every blemish? JPL gets their optics from an outside contractor and weight is always a key factor, so I’m told. I guess it’s best to blame it on NASA who first releases the low resolution thumbnail pics to us and then tells us the HD pics will come later. But where are they? You can always find explanations about dust lens caps and Hazcam problems that may make some areas of a photo clear and other objects (that seem more interesting) blurry. If this is indeed the case, they should be able to correct this like they fixed the Hubble Satellite to take clearer pictures. As long as I’m on the subject… I had to ask why NASA alters the colors of their pictures before posting them online for all to see. Some pictures of Mars are clearly red-tinted. NASA has admitted on numerous occasions that they alter the colors of their pictures so that they look more like what we would see, if we were on Mars. Why? “Getting the colors right is not an exact science. Giving an approximate view of what we’d see if we were there involves an artistic, visionary element as well – after all, no one’s ever been there before. However, great pains are taken to be as accurate as possible, short of going there ourselves. “To give people a sense of being on Mars, scientists combine views through telescopes, data from past Mars missions, and new information from the current mission to create a color-balanced, uniform scene. Color-corrected mosaics simulate the view a person would see if all the images in the mosaic were taken on the same day, at the same moment. Since I’ve seen pictures of Mars with blue skies and a neutral beige and, sometimes green, landscape (indicating life), I find the need to “color correct” pictures puzzling. Especially when these same pictures have been marked by NASA as “TRUE or ACTUAL Color.” So what is the REAL true and actual color of Mars? My JPL friend had no answers for this either, but I encouraged him to ask around. We moved on to the sterile testing areas. 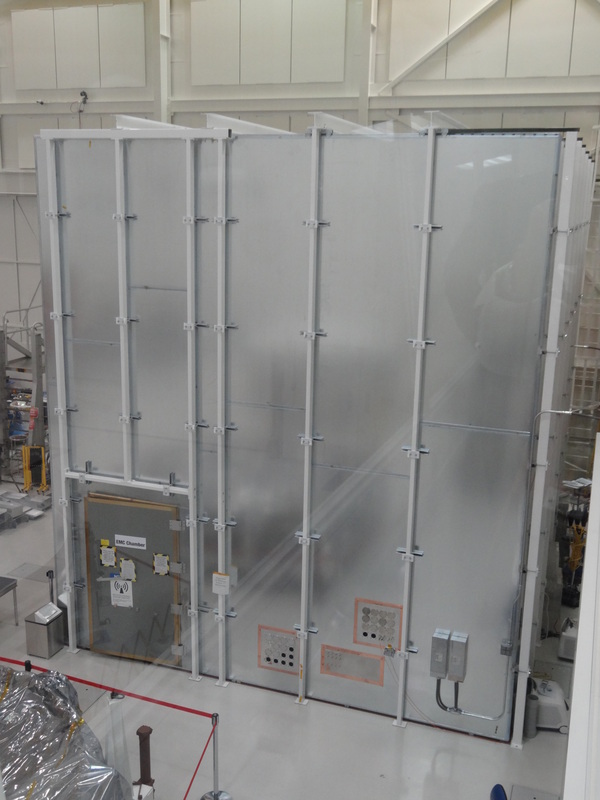 JPL must have the largest Faraday cage in existence, reaching almost two stories high. It protects sensitive electronic equipment from external radio frequency interference (RFI). It’s also used to enclose devices that produce RFI, such as radio transmitters, to prevent their radio waves from interfering with other nearby equipment. Curiosity was flipped upside down for its ride to Kennedy Space Center and carefully wrapped in a portable big, huge bag. That bag not only acted as a Faraday cage, but it kept Curiosity clean during its journey to Florida. 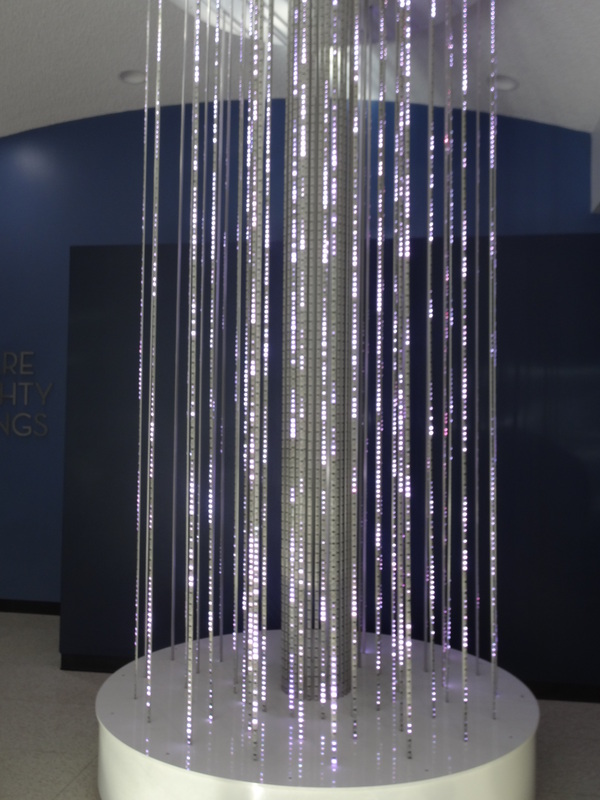 In one administrative building there was a pretty cool light show in the lobby that correlated with real-time information being received from one of their many satellite feeds. Whenever a data transmission was received, light streams travelled down from the ceiling like pulsating digital bits of information. When JPL was transmitting information back to a satellite, the light beams changed course and raced upwards. The transmissions never stopped. 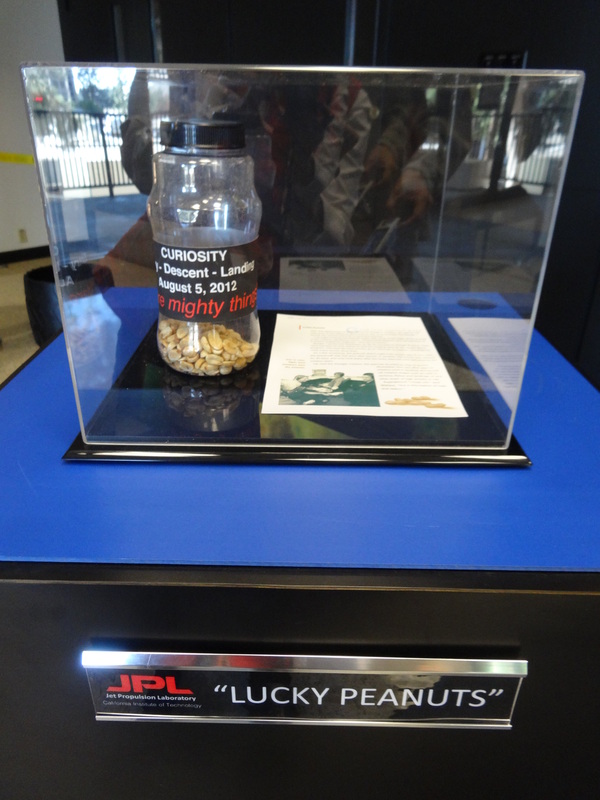 Then there is the famous “Lucky Peanuts” jar that is enshrined in the Mission Control room lobby. NASA/JPL scientists keep it as a “good-luck charm.” This decades-old ritual began after a series of failed missions in the 1960s. Like a ballplayer who wears the same lucky underwear each game, NASA found that eating crunchy peanuts during a launch possessed successful “launch magic.” These guys don’t mess with superstition. Although I clearly was left with more questions than answers, there is no denying that JPL is a great place to hang out. Even their gift shop had heat-sensitive pencils that change color upon hand contact. Kind of like a mood ring. Being a “hot” item, I promptly bought a dozen. Adjoining their in-house museum, which is filled with multi-media displays documenting every project they’ve ever designed and put into orbit, I came across staff setting up in their banquet hall for a top brass event that night. The event was both a food and science project, sort of. On each table was a tray of edible materials—graham crackers, marshmallows, gumdrops, cinnamon sticks, candy canes, and even frosting. This was no children’s party. The woman in charge told me the engineers at each table would be instructed to form a team and build something unusual. I think the prize was a first class trip to Mars. These guys have all the fun! !